While on Christmas break we learned of billboards that appeared in the Dallas Metroplex, as well as other major cities around the country with the above message. 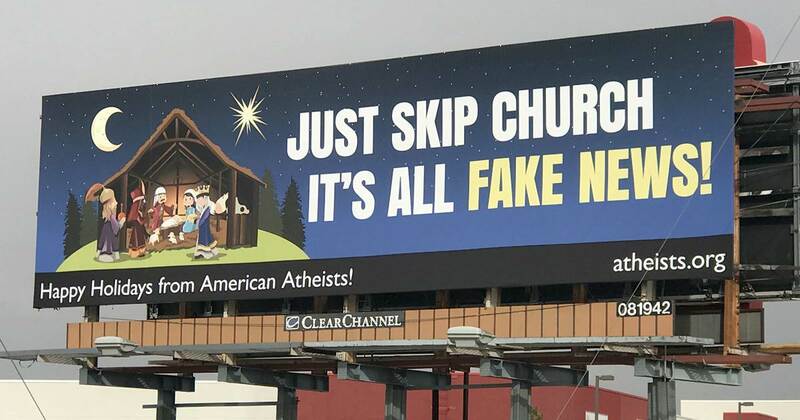 The group responsible for the billboard is the American Atheists. It’s a part of their annual winter campaign to insult Christians and demean Jesus.